What are the Components of Widex ZEN Therapy? 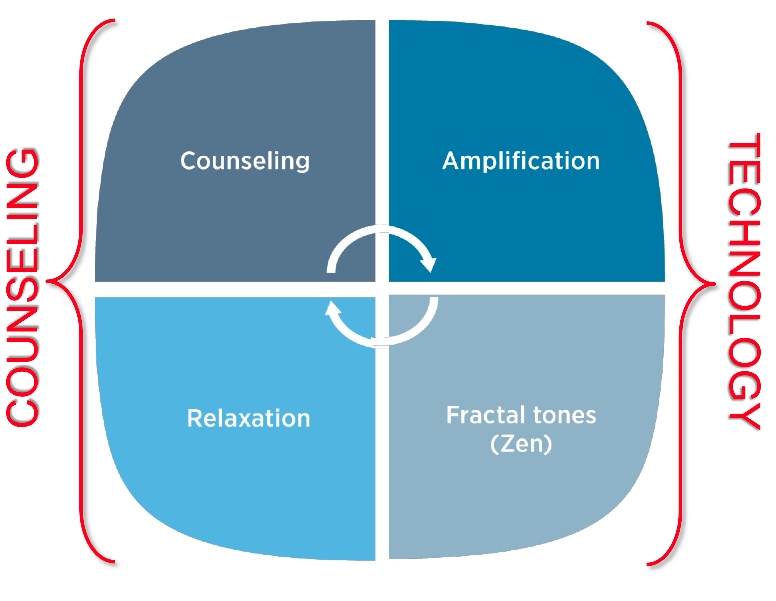 Widex's approach to tinnitus management has been a long-standing one, which encompasses four pillars of counseling, amplification, fractal tones (ZEN) and relaxation. This approach of combining these components is very different from the way many other manufacturers have designed their plan for tinnitus relief within their hearing aids. In most cases, others focus on a masking approach, whereas Widex ZEN Therapy is designed to promote habituation. Habituation is the retraining of the brain by stimulating the auditory cortex appropriately and resetting the link between the auditory cortex and the limbic system. This Ask the Expert is an excerpt from the interview, Real Life Hearing and Tinnitus Management with EVOKE and Zen Therapy. For more information please visit: https://www.widex.pro/en/products/tinnitus-solutions or Widex Partner Page on AudiologyOnline. Susan de Bondt’s audiology experience includes the Silverstein Institute in Sarasota, Florida, fifteen years of private practice ownership/management and provision of Fee Basis Audiology services through Bay Pines VA Healthcare System in southwest Florida. Recently she has worked in manufacturing for 5 years providing training in Government Services and Commercial sectors as well as Product Management and Audiology Team management. Her employment with Widex began in April of 2015 as a Professional Education Manager for South Florida and the Carolina’s. Dr. de Bondt received her Master’s of Science Degree in Audiology from the University of South Florida and completed a Doctorate in Audiology (Au.D) from the University of Florida. She is a fellow of the American Academy of Audiology and a member of the Florida Academy of Audiology. This course will introduce Widex Sound Class Technology utilized in the new UNIQUE family. Learn how Sound Class Technology ensures optimal feature use to follow the user's intention in every environment. Comprehensive hearing care providers seek strategies that allow them to be competitive and to demonstrate greater value to their clients. This presentation will focus on the importance of hearing to brain fitness and suggest steps for “coaching” clients towards maximization of their auditory fitness capabilities. Widex released Compass GPS v2.1 in May, 2016. This course is designed review the new attributes found in GPS 2.1 and to provide fine tuning tips and techniques for the common and not-so-common needs of clients. Case examples will provide insight into how to help clients achieve the ease of listening they desire. This course will explore Widex software, Compass GPS, in an easy to understand and quick fit manner. After this course, providers new to Widex will understand the basics of fitting a Widex hearing aid.